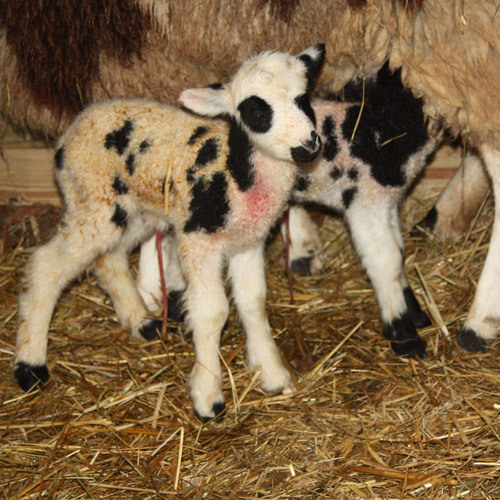 and Oh Boy.Lambing has begun. 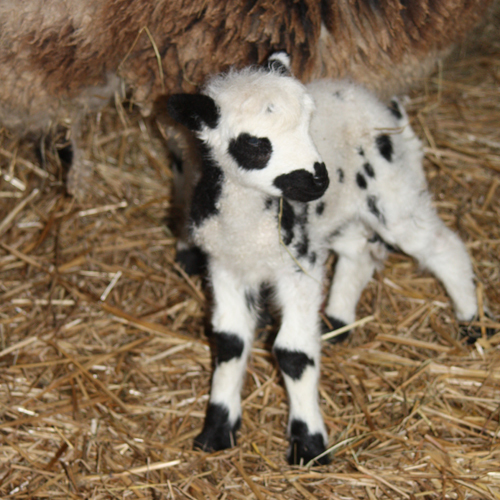 And it’s boy, boy, boy, and boy for the first day of lambing. These first boys are sired by Canoe Lake Comet. 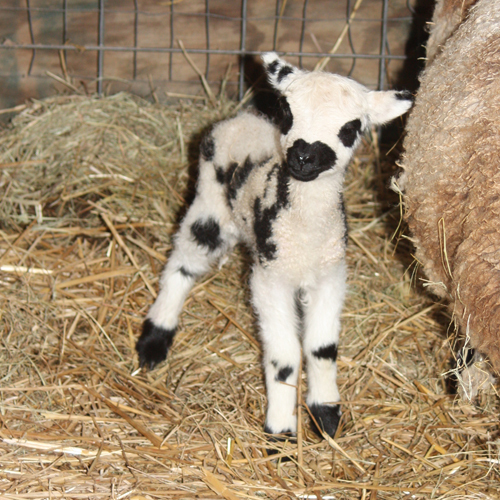 Sweetgrass Gavotte, polite enough to lamb according to my lambing calendar, produced two handsome four horned ram lambs yesterday morning. I checked sheep at 6:30. It was obvious that Gavotte was going to lamb that day, but she had not passed the cervical plug nor started any “I’m going to lamb RIGHT NOW” signs. What a treat to check in an hour and 1/2, after coffee, to find two already cleaned pretty lambs just getting to their feet ready for breakfast. I had no idea when Vesta was bred, but it was obvious yesterday morning that she was close. By last evening, it was even more obvious. She took abit more time and made abit more fuss than Gavotte. 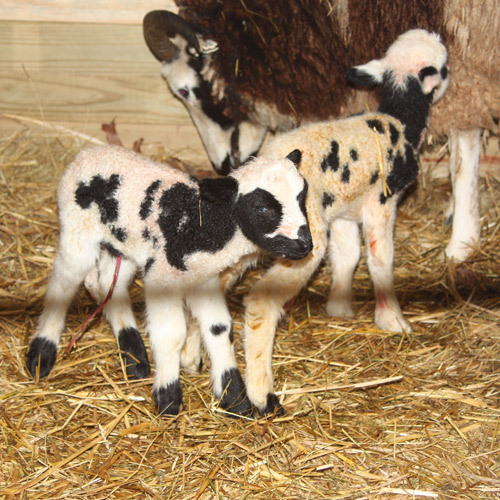 She managed to come in before midnight with two more pretty four horned black/white rams. Vesta, Comet, Altair, Orion … another theme. After that a break until the end of March for the Hawk, Casanova, and Abbott lambs. Unless Loretta decides differently. It’s not going to work that well for Holly/Boyd, Annie/Boyd, Bling/Boyd, or Quinn/Comet, but it was fun for the first ones. Oh, I can see some possibilities just riffing off the ewe names. Very creative! !